I know it’s not a new trick or method for increasing Speed(RAM) via increasing virtual RAM but this trick will prove to be a new life for the old PC in your home, offices , colleges etc. 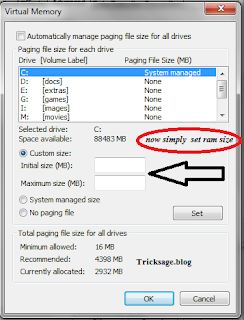 as usually sometime we have to use those old PC like P3,P4 etc and this trick will not only useful for old but it will also help new Laptop and PC when you play HD video or High end games. 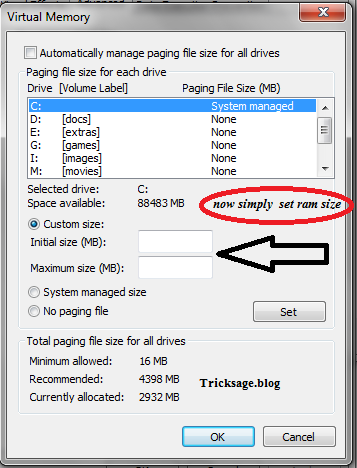 So to increase your Laptop/PC Speed or increase Virtual RAM then follow the below given steps with Screenshots to understand more easily. Press ‘Windows’ key + ‘Pause break’ key it’s a shortcut or simply Right click on ‘My Computer’ and then select ‘Properties’. Then click the 'Advanced' tab on the button that pops up. 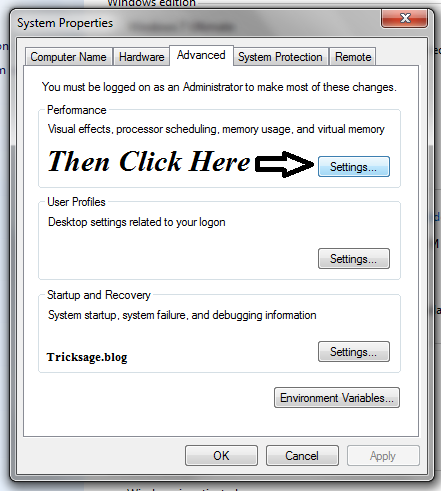 Under 'Virtual Memory' at the bottom, click 'Change'. Click the 'Custom Size' button. 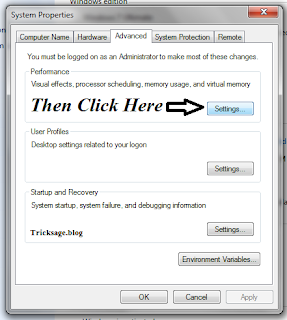 Click 'Set', and then exit out of all of the windows. 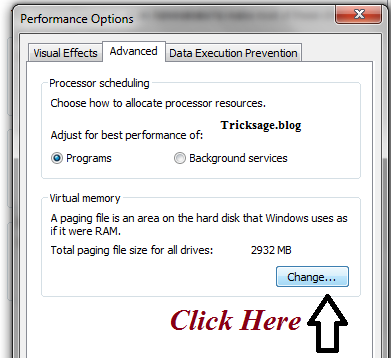 And the task is Done now you see that you have a faster computer and 1-2GB increase in RAM or in Virtual RAM..! If this article prove to be helpful or usefull for you then you can join us on social sites for more updates and feel free to share and comment about us.. If you are a net savvy person, then it will be easy to find out the experienced mechanic in your locality, who can help carrying out laptop repairs and satisfy your queries as well.